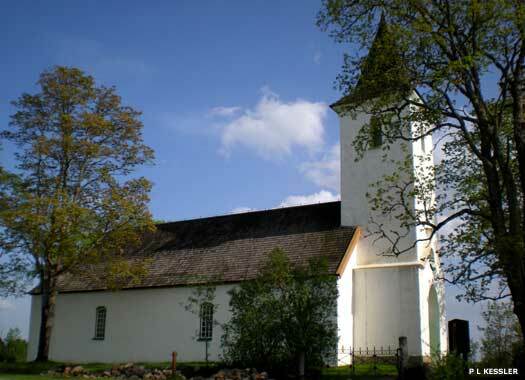 The Church of the Blessed Virgin Mary, Nissi (Nissi Maarja kirik in Estonian), is in the nearby village of Riisipere, with Nissi just a little way to the south. The first church built here was raised in the thirteenth century, although nothing remains of it save written references from a later date. Architecturally, nothing of this early church building is known. The present church was built between 1871-1873, to a design by the architect Academician David Grim from St Petersburg. Grim used local traditions and combined Romanesque and Gothic styles in his construction. The church is single-aisled, with a protruding west tower and choir with polygonal apse. A sacristy is on the north side of the apse. It contains the magnificent stained glass windows, 'St John the Evangelist', and 'St Peter the Apostle', by H Beyermann of Riga in 1902. It also contains a stylish neo-Gothic interior in a church which provides a luminous quality to its internal illumination. 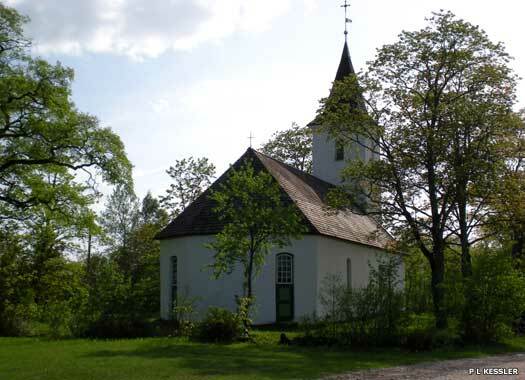 St Charles Church of Tuhala (Tuhala Kaarli kirik) is in Oru, three or four kilometres to the south. The first chapel here was probably built at the end of the thirteenth century. 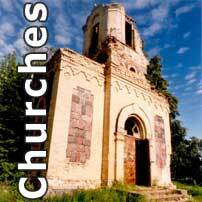 It was put up on marginal land near a Crusader stronghold and may have been known as Juuru Church. 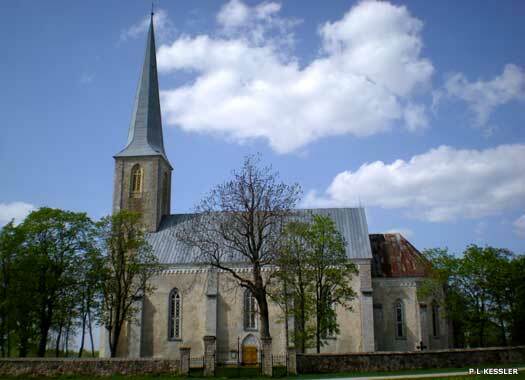 The present Baroque church was built between 1775-1777 by Carl Johann Mellin (1707-1775), after whom it is named. It sits amidst open fields overlooking the road which skirts the hamlet. The church was presented with its first bell in 1782. 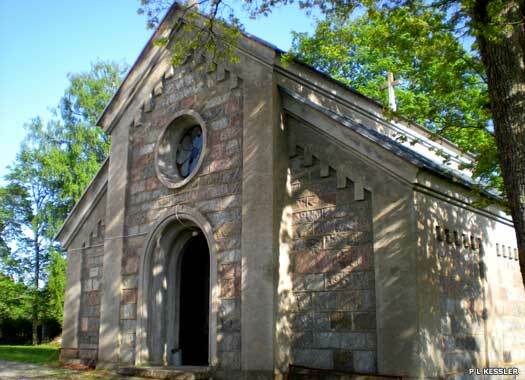 The lord of Tuhala manor, Paul von Lilienfeld Toalm, began extensive alterations to the cemetery in 1863. He also took down the small tower on the church and replaced it with the present high tower, giving the rest of the building a neo-Gothic re-facing at the same time. The bell chamber gained its second bell in 1866. In 1822 a Prayer House of the Moravian Brothers was built nearby, but this was demolished in 1950. 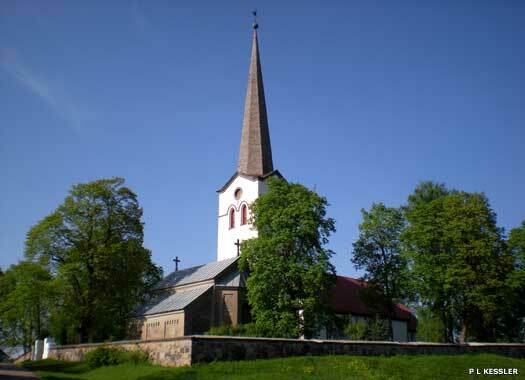 St Nicholas' Church (Püha Nikolause kirik) is at Jõe 2, Kose, on the eastern side of the road, overlooking the river. The fortified medieval stronghold church was probably built here soon after the establishment of the city of Tallinn in 1230. The church is mentioned in the Danish 'Liber Census Daniae' of the same century, and 1231 is held as its traditional date of founding. It was partly destroyed in the Livonian Wars in 1560, but the walls survived and it was soon rebuilt. The church contains a vaulted choir room and a portal on the west side of the doorway, both of which echo elements at Pirita Convent and hint at the same builder for both. The funeral chapel of the Kotzebue family (shown here) lies between the church and the road, and obscures the former a great deal. 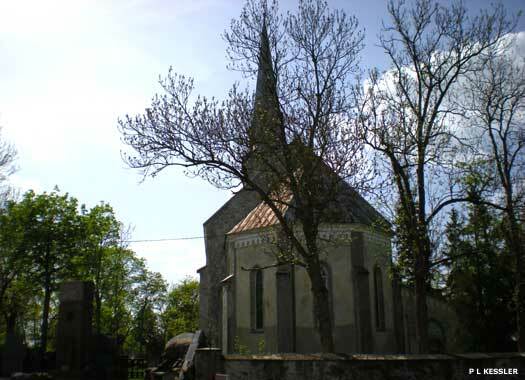 Rebuilding of the church was carried out in the nineteenth century. There is also the small Jehovah's Witnesses congregation (Jehoova tunnistajad) in the town.